On March 12, 2018, Andrew M. Sieja became a shareholder in the Lanier Ford law firm. After growing up in Huntsville and graduating from Randolph School, Mr. Sieja received his bachelor of arts degree in cinema from Denison University (Granville, Ohio) in 2001. He received his law degree from Texas Wesleyan School of Law (Fort Worth, Texas) in 2007. 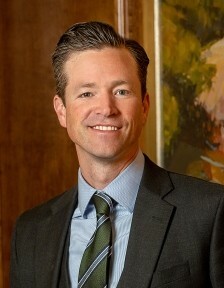 After practicing law in Dallas, Texas, he returned to Huntsville in 2009. Mr. Sieja’s practice is centered on business and corporate law, probate, and estate planning with an emphasis on probate and commercial litigation. Mr. Sieja understands the importance of giving back to the community and currently actively participates in the Madison County Volunteer Lawyer Program (MCVLP) as a member of the Board of Directors as well as a volunteer. In 2012, the MCVLP named him the Volunteer Lawyer of the Year for Probate and Estate Planning. He has also provided estate planning documents for police officers and firefighters through the Wills for Heroes program. Mr. Sieja is active in the Rotary Club of Greater Huntsville and serves on the Board of Directors for the Rotary Youth Leadership Awards which is a held annually at the U.S. Space and Rocket Center. Mr. Sieja, his wife, Brianna, and his two children, Oliver and Edith, are active in their local school and are members of St. Mark’s Lutheran Church.